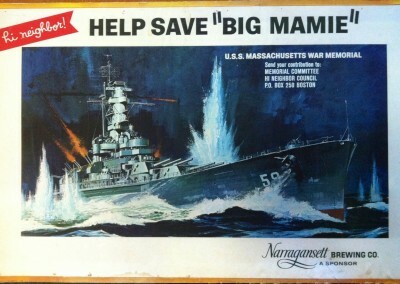 Growing up in Southern New England, everyone remembers school field trips to Battleship Cove in Fall River. Adults just as much as kids, all gasp at the massive guns that once fired 16″ shells from the Battleship Massachusetts. Just before you drive over the Braga Bridge you can’t help but gaze at the giant hull. Then once you’re on the bridge you can see the tip of the ship’s antennas. On the tour you learn about the tight quarters the crew had to endure. It really makes you honor those brave men and women who served on such a vessel. About 50 years ago, this might not have been possible. With the help of Narragansett Brewing Company and Massachusetts school children, funds were raised to revive the battleship and make a U.S.S. War Memorial out of her in Fall River, MA. In June of 1965, Battleship Cove became one of five National Historic Landmark ships. 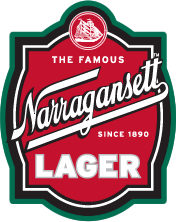 So this Memorial Day, we at Narragansett beer would like to take this moment to remember all of the brave men and women who sacrificed their lives for the freedom of this fine nation. 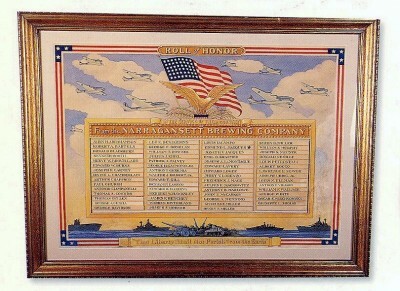 Here is a memorial that hung on the old brewery’s wall remembering those employees who fought in WWII. And here’s the complete history from Battleship Cove’s website.